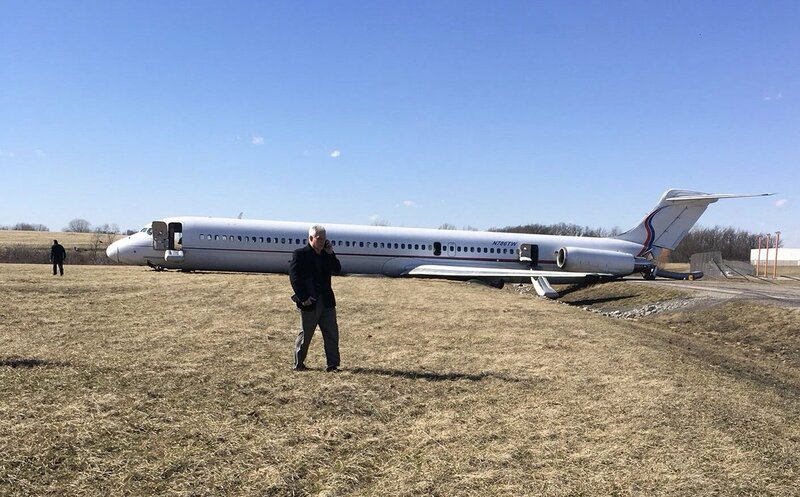 The University of Michigan chartered plane that was taking the basketball team, cheerleaders, pep band and administrators to the B1G Tournament in Washington D.C. crashed after skidding off the runway today. The plane attempted to take off and briefly got off the ground, but due to high winds they had to make an emergency landing. While trying to land the plane ran out of room on the runway and skid off the runway crashing into a ditch. The plane sustained heavy damage, but luckily no one was serious injured. Everyone on board was evacuated. The university is currently making alternate plans to get the band and team to Washington in time for their first game. A very scary day for all involved. We are glad everyone is safe!